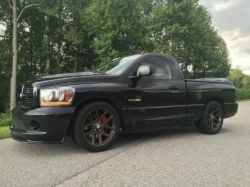 Dodge Ram SRT-10 Forum > Site Functions > SRT10forum AutoGuide Support / Help > Are 05 & 06 hinges the same? Are 05 & 06 hinges the same? Are the hinges that bolt on on the inside on the bed the same on 05 & 06? Will 05 hinge fit on 06.? I think he means for the tonneau cover?